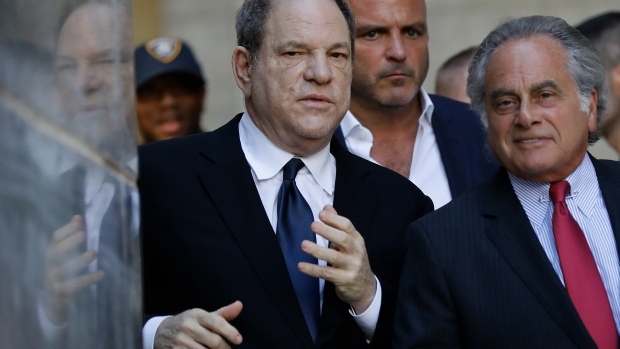 Advisers are adding guarantees to certain merger agreements in light of the sexual misconduct scandals that have enveloped the producer Harvey Weinstein and other high-profile businessmen -- ones that legally vouch for the behaviour of a company’s leadership. In some cases, buyers have even negotiated the right to claw back some of the money they paid if subsequent revelations of inappropriate behaviour damage the business. In several deals he’s worked on -- the firm mostly advises on technology and media deals of about US$1 billion or less -- sellers have even put money in escrow that buyers can claim if any social issues arise. That can sometimes be as much as 10 per cent of the total value of a transaction, Bedrosian said. These provisos are being called “the Weinstein clause”. At Athenahealth Inc., Chief Executive Officer Jonathan Bush’s decision to step down in June after a series of misconduct allegations helped clear the way for a potential sale of the US$6.1 billion health-technology company. A possible tie-up of media companies CBS Corp. and Viacom Inc. may be easier for controlling shareholder Shari Redstone to pull off if allegations against CBS Chairman and CEO Leslie Moonves lead to him stepping down, Cowen & Co. analyst Doug Creutz wrote in a note to clients Friday. Moonves has acknowledged that some of his behaviour in the past may have made some women uncomfortable, but said he never used his position to harm anyone’s career. Drake Star’s Bedrosian, who’s been advising on acquisitions for 25 years, said that it’s only over the past six months or so that sellers have been asked to make legal representations about the behaviour of their management teams. In deal rooms, these clauses are being referred to as “the #MeToo rep,” he said. When tapas chain Barteca Restaurant Group sold itself to Del Frisco’s Restaurant Group Inc. in June, the language was even more specific, citing a date -- January 1, 2015 -- since which there haven’t been any allegations against managers or executives. The changes are happening in deals involving private equity firms as well as corporates, with firms starting to pay greater attention to culture and labour issues at companies they own. “We do market research, search engine and social media assessments to evaluate the reputation of any brand,” Belisle said in an interview. “Doing that helps us to uncover risks and figure out where the opportunities might be for a company.” Gaining that perspective on a brand can give private equity firms an advantage when considering where to invest -- and an edge over their peers in a bidding process. Companies are working faster to act on allegations of bad behaviour and weed out the perpetrators, and it’s right that buyers -- who are used to spending weeks and months on financial due diligence -- are paying more attention to human resource and labor issues, John Waldron, the co-head of investment banking at Goldman Sachs Group Inc., said at the Milken Institute Global Conference in California in May. --With assistance from Jeff Green, Sabrina Willmer and Ed Hammond.